In the food packaging industry, the use of nitrogen can be applied to a number of different processes. Not only is nitrogen a safe, inert gas - with a nitrogen generation system, it can be generated from the surrounding air without your facility ever having to worry about changing out expensive high-pressure cylinders. Nitrogen can also be used to "pad" the contents of a food package to prevent the package from collapsing and damaging the food products within it. 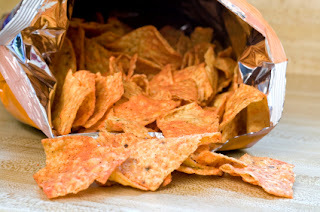 Items like potato chip bags are often padded with nitrogen to maintain the right level of pressure and keep the chips from breaking during transport. The most effective and economical way to use nitrogen in food packaging is typically through a nitrogen generator. Instead of having to rely on high-pressure, expensive nitrogen cylinders, a nitrogen generator creates its own supply of nitrogen from the surrounding air. This helps facilities maintain the supply of nitrogen they need to function at optimal levels while also reducing the risk of combustion from other types of gases. Nitrogen's dry, inert properties have made it the more popular choice for food packaging as well as other manufacturing and storage industries.